Leopard Handprinted Mum and child sweatshirt set. 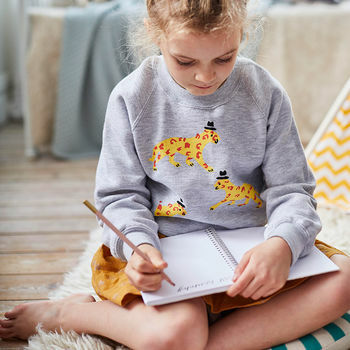 A funky grey coral mum sweatshirt and children's sweatshirt or baby grow. 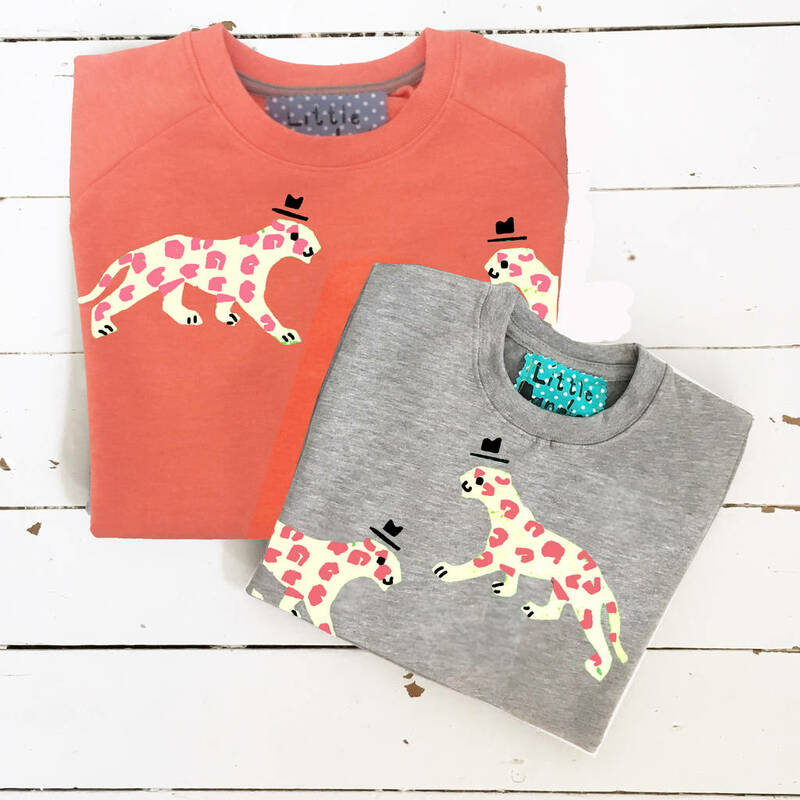 We have a wide range of animal print t shirts in funky bright colours as well as long-sleeved options, please see sellers 'complete range' on the right. Mum and kids t-shirts also come in personalised versions in flamingos and Super Gorilla. Baby vest can be changed for babygrows if prefered, We also have a wide range of t-shirt colours if you would like something different please send me a message. All our animal t shirts are hand-printed by us in the UK, every one is unique and special. Great present for dads and there little boys or girls. Love this design? We also have the same designs and more in animal printed cushions, sweatshirts and babygrows. Baby Vests are available in 0-3, 3-6 & 6-12 month Children Sweatshirts are currently available in 1-2, 2-3 & 3-4 & 5 years. Mums Small, Medium Large and X Large. This is designed as a medium fit sweatshirt. Printed in the UK, everything screen printed by us using water based ink.